Welcome to Coronado Elementary School, home of the Lobos. Our vision is to sustain a K–8 school that is highly regarded for its academic excellence and for actively including the community we serve. My name is Shelley Woodman, and it is my pleasure to serve the students and staff at Coronado Elementary as the principal. I am a native of Arizona, and have spent the last 15 years in Sierra Vista educational community working at Fort Huachuca, Sierra Vista, and now in the Palominas District. I am so honored to be part of the dedicated and professional staff of the Coronado Elementary School that serves this community. 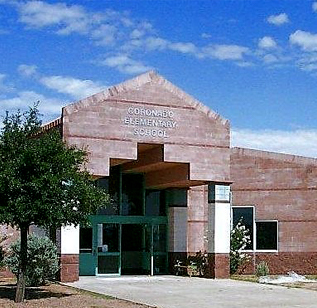 Coronado Elementary School provides a nurturing student-centered environment where children can learn and grow in the areas of academics, sports, character education, fine arts, and music. Our teachers and staff members are highly motivated to do whatever it takes to help students to be successful. I believe that one of the best indicators of a student’s success is the strength of the partnerships between school and families. I look forward to collaborating with you to meet the needs of your student and your family. My door is always open, and I hope to meet you all soon! It is the mission of the Coronado Elementary School community to establish a safe, positive learning environment that instills respect for all and creates responsible citizens who are lifelong learners.